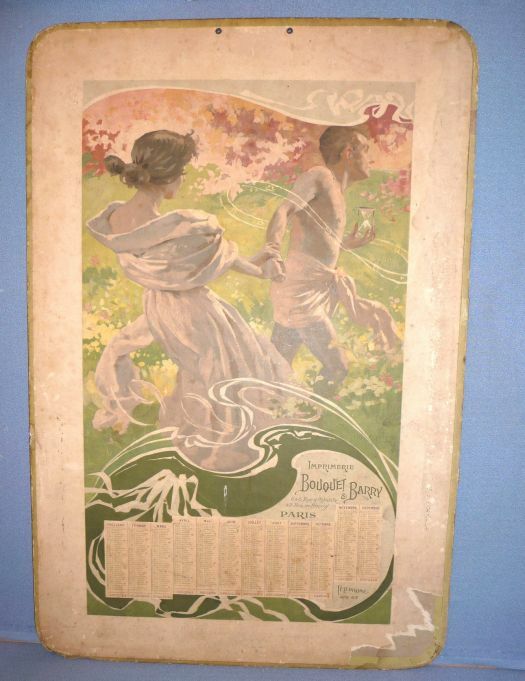 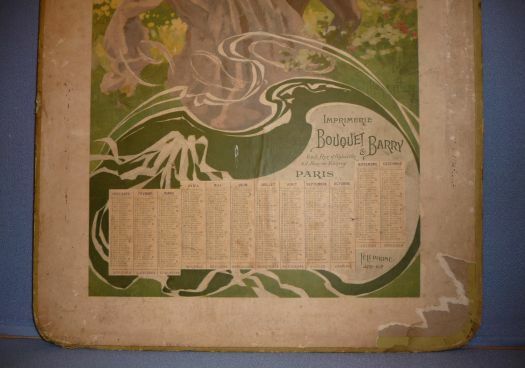 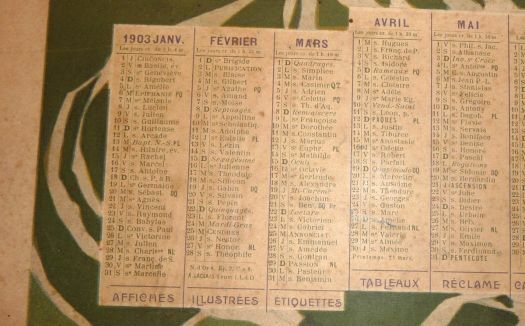 Great calender 1903, quite charming and romantic. 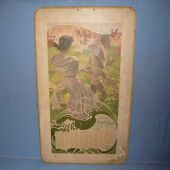 It was an advertising for a printing house, made on a thick cardboard ; condition is quite correct in comparison with the age. 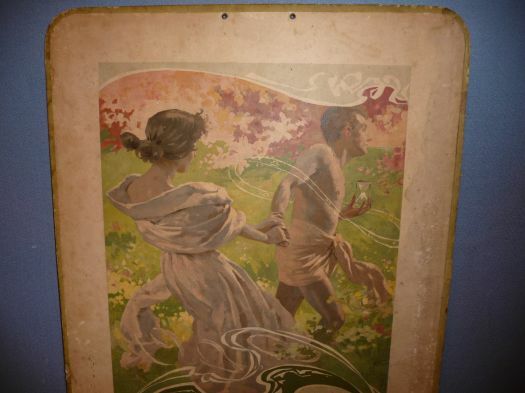 60 cm x 40,7 cm.